Malleability: When it comes to flexible design options, structural steel is by far your best choice. Whether you’d like a simple design or a dramatic spiral in the middle of your building, structural steel can be created in whatever design you have in your vision of your project. Whether it’s a one-flight system or a multi-tiered set of industrial stairs, your structure will have the architectural integrity to marry form and function in your design. The only restriction is your design creativity. 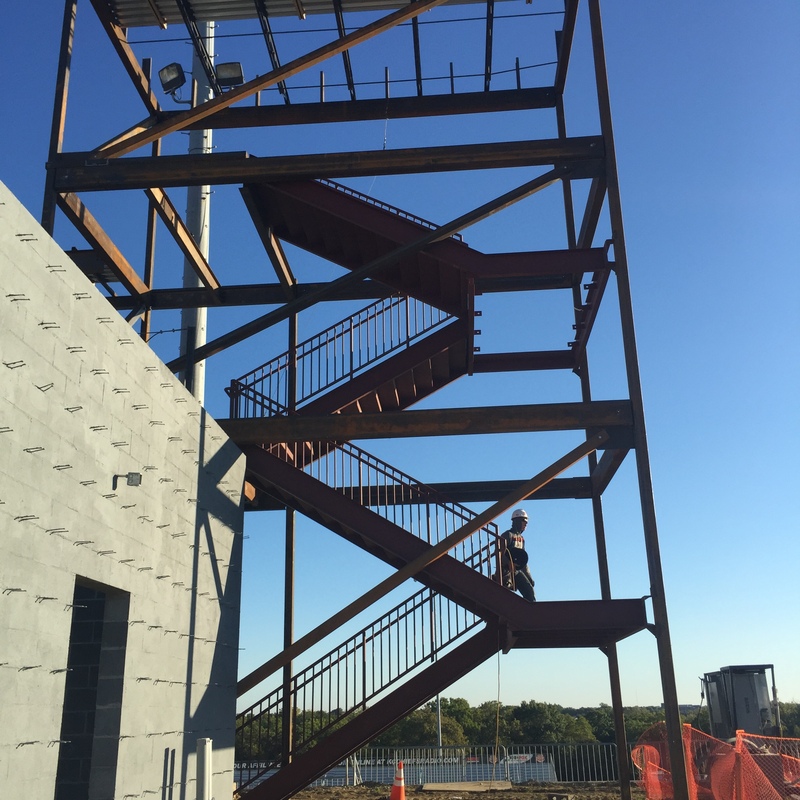 Safety: Staircases inherently carry some danger, and structural steel provides a sturdy and reliable support for those moving about your location. While timber products may appeal to you for other reasons, they simply cannot compare to the safety benefits of steel. Durability: You’ll never have to worry about corrosion or pests when you choose structural steel for your staircase. Steel is equipped to hold up to extreme conditions, and you can count on its durability year after year. Chemical treatments and coatings further enhance steel’s durability by protecting it against rust. Affordability: There are economical benefits to choosing steel for your industrial stairs. Not only are materials affordable, but the components are fabricated and arrive ready to be assembled, so you save on labor as well. Maintenance: While a wood staircase would require frequent maintenance to keep a nice luster, your steel staircase will require little in the way of maintenance to keep it attractive, year after year. Whether it’s inside or out, your industrial stairs will remain attractive and maintenance free. Long-term usability: The benefits of choosing steel for your staircase continue to pay off over time. With a variety of appealing designs possible and high load strengths, steel stairs are the best choice for long-term use. Guests to your building will enjoy the visual appeal of steel and they will look attractive over many years. Determining the right materials for your industrial stairs can be a challenge, but Midland Steel offers the economical and attractive option of structural steel. With experience on many building projects and with a variety of designs, we can help you choose industrial stairs that both meet your needs and offer visual appeal to your project. Contact us to discuss your building project and the look you want for your stairs.